Two years ago, the return of the Lotus name to Formula 1 brought joy to many historically-minded Formula 1 fans. Enduring a tough 2010 season as a brand new team running spec engine and transmission rules, the Lotus Racing team began to restructure their 2011 season for much more success with Renault powerplants and gearboxes supplied by the new, reigning Formula 1 constructor champion Red Bull Racing. Under the helm of team principal Tony Fernandes and chief technical director Mike Gascoyne, the Formula 1 team also negotiated to gain a honour of renaming their organization 'Team Lotus' heading into 2011. Showing optimism, a surprising move changed the tone of Team Lotus, potentially threatening their existence in the upcoming Formula 1 season. Group Lotus (the company under the Malaysian parent Proton Group which the Fernandes/Gascoyne Formula 1 team was licensing the rights to use the Lotus name in grand prix) began to express a lack of support for the team currently wearing their brand name. In a swift move, Group Lotus bought into the Renault F1 team declaring the resulting Lotus Renault GP the sports car company's official grand prix organization. Since that time, everything from naming to paint schemes is tainted with controversy. Much of this Group Lotus versus Team Lotus is now the focus of a UK courtroom. With a court ruling made Monday, the organization of Tony Fernandes and Mike Gascoyne will be allowed to start the Formula 1 season as Team Lotus. Group Lotus had attempted to block the former Lotus Racing from using their brand's name starting the 2011 grand prix tour. This ruling formally confirms that two Formula 1 team will share the Lotus name and it will likely remain that way for the full season. Expressing a sense of victory, Team Lotus statement issued late Monday. "Team Lotus is delighted that we were successful at the Summary Judgment Application hearing today and that the Judge threw out Group Lotus' application even before hearing the arguments of the barristers on either side." Winning this off-track battle on the application, Team Lotus still has an all-out trial where Group Lotus will challenge their former licensing partnership. Scheduled to start on March 21st, Group Lotus attorneys will attempt to completely dissolve the rights of Team Lotus to use their brand name. 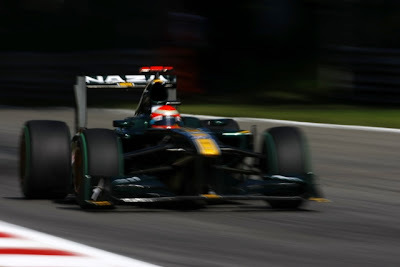 However, the initial decision means that Group Lotus has little ability to prevent Team Lotus' 2011 Formula 1 campaign. 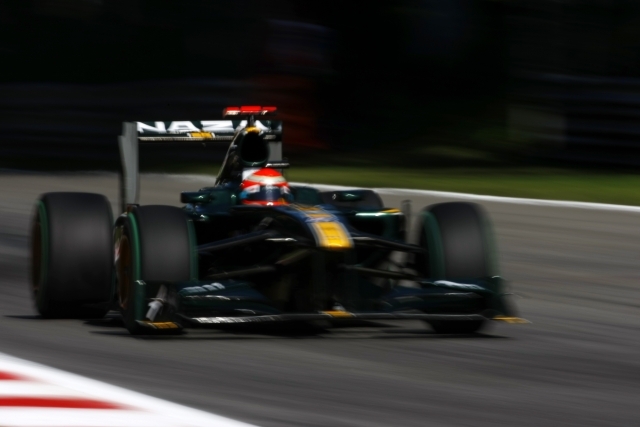 Last year, Peter Sauber's grand prix team was an example of what will possibly play out for Team Lotus. Because team owner Sauber (who had repurchased control of his team and barely had a resources ready for the season) was required to run as BMW Sauber even through BMW had completed divested itself from the operation in 2010. This makes any moves to bar Team Lotus by Group Lotus appear impossible through the 2011 Formula 1 season. It's also possible that Formula 1 might intervene against removing Team Lotus this upcoming season since it will remove two cars from the starting grid.